Fair Trade Month 2010 is officially here and this year’s theme is “Every Purchase Matters.” This is a great time for all of us to reflect on the things we buy and try to be more conscious consumers. Every time you purchase a Fair Trade product, you are voting with your dollars and telling the world that you care about who produced your product, where, and under what conditions. This month, make it a priority to engage your friends, family and colleagues in discussions about Fair Trade- your involvement and passion can and will inspire others! Hold multiple contests on our blog, and Twitter and Facebook pages, where readers can win FREE products every week during the month of October. Sponsor and adopt October 21 through our partner Transfair USA– make sure to follow them on Facebook and Twitter to get all the details! Host events in Olympia, WA and New York, NY, on Thursday October 21st, where we will debut our Fall 2010 collection and screen our documentary, while serving guests delicious fair trade wine and chocolates! This is an exciting time for Marigold and for the Fair Trade movement in general. And just as a heads up, stay tuned for BIG NEWS coming from us during the month of October…. Entry filed under: Events, Fair Trade, Giveaway, The Company. Tags: adopt a day, certification, every purchase matters, fair trade, fair trade month, october, Transfair. 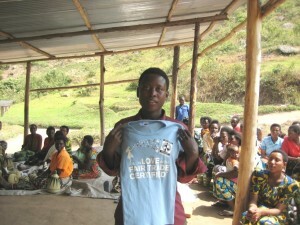 Events around the Pacific NW for Fair Trade Month	National Sweatfree Summit just a month away!